A migraine headache is a severe and often debilitating type of headache that can cause symptoms such as sensory disturbances, cognitive problems, and nausea. Women are significantly more likely to get migraines than men, but the physiological causes behind migraines are not well understood. Most neurologists believe that migraines are caused by unusual brain activity that causes pain and other neurological symptoms. There is not yet a specific test for migraine headaches, and doctors diagnose migraines based upon symptoms and the ruling out of other causes. Some environmental factors can trigger migraines in people who frequently experience migraine headaches. These factors include stress, caffeine, foods such as onions, pickled foods, hunger, heavy exercise, depression, and changes in sleeping patterns. 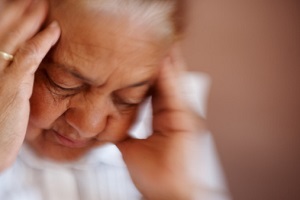 Migraine headaches are not a disease and there is no current cure that can prevent future migraines. Prescription-strength migraine medications from a doctor can help alleviate the pain of a migraine attack, and some people with migraines find that antidepressants, anti-seizure medication, and blood pressure reduction medications reduce the frequency and severity of their migraine headaches. Some people use holistic and complementary treatments such as acupuncture and chiropractic care to reduce or treat migraine symptoms. Others are able to reduce the frequency or severity of migraines by lifestyle changes, such as adjusting their diets or reducing their stress levels. People may have to try several different treatments before they find one that works.